There are many other perceptive statements of similar import and deep meaning. Each of them conveys the same weighty observation and geopolitical significance: That the Middle East is but a microcosm of the macrocosm known as planet Earth. And, that the direction of global peace, or war, can be easily judged by what is happening right there in Israel, in Palestine, and among the many neighboring nations. Many have called this area the snake pit of snake pits, the ultimate hornets’ nest, as well as the proverbial lion’s den. The list of kings and prime ministers, nations and countries, presidents and diplomats is endless where it concerns attempts to intercede in the affairs of the Middle East for the sake of negotiating an enduring peace. But why have so many peace initiatives failed, many of them quite dismally? The answers can only be found by studying the true history of this volatile region of the planet. Understanding the history of all the key players involved is also required if we are make sense of so much turmoil, confusion and conflict. Zionism – What is it? To start let’s take a trip back in time to August 29, 1897. This date stands out as a critical marker in the development of the pseudo-religious, political, militaristic movement known as Zionism. Just what is Zionism? Zionism: A Jewish nationalism movement known as The Return of the Jews to their “rightful” historical homeland [as opposed to the end of the Diaspora]. 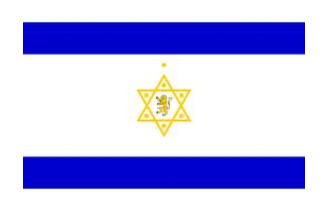 The goal of Zionism was to establish a Jewish state in Palestine because a small number of determined wealthy Europeans claimed the anti-Semitism present in the World at the end of the 19th Century would end if a people collectively known as “Jews” had their own state. Zionism was opposed for social, political and religious reasons. The Jews (until 1933) correctly viewed Zionism as contributing to, not eliminating, anti-Semitism. Well, how’s that for some revised history?! Zionism was actually reviled by European Jewry and recognized as a plot to relocate Jews to Palestine under the guise of protection. Transplanting millions of Yiddish-speaking, white-skinned, Ashkenazi Jews from Europe to a small plot of highly coveted land in a Middle Eastern desert surrounded by Muslim nations of every ilk was supposed to keep them safe and sound! By the way, the Palestinians living in Israel today are likely to be the descendants of the ancient Judaic people known as the Hebrews. Most of the early Zionist leaders including David Ben Gurion, Israel’s first prime minister, until the rise of Anti-Semitism and Nazi Germany, recognized that the Palestinians were the descendants of the area’s original Jews. Ben Gurion et al. believed the Jews living in Palestine had later converted to Islam. Stop! Do not jump to any conclusion about the secular Jews living in Israel today. World events after 1933 gave the secular (converted) Jews an entitlement to the land irrespective of who their father is, or how they got there. Who was it that thought up this scheme? More importantly, why did they construct such an impossible task with so many far-reaching repercussions and destructive consequences around the globe? To sum it up this extremely well researched essay (“70 Million Died”) advances the theory that the same group of ‘people’ engineered all the major societal cataclysms of the last century, as well as those occurring right up to the present day. Therefore, when you add up all the lives lost during WWI, WWII, and the Holocaust, you come up with approximately 70 million. On both sides of these conflicts we see innocents who, by virtue of their national origin, religious affiliation, cultural sensibilities, race, etc. were lined up against each other without really knowing why. To this very day, World War I is still a big mystery to the very best of historians. World War II is an even bigger mystery since the League of Nations was formed to make sure that WWI was “the war to end all wars”. Not only did “never again” never become reality; rather, the post WWI armistice, treaties and various “agreements” guaranteed that a World War II would be fought. We know, this is getting real complicated and difficult to believe, except that none of these defining events, especially the Holocaust, makes any sense until they are viewed through the lens of the Zionist agenda. Perhaps this is a good time to telescope back in time to capture the essence of why it was so important to ‘someone’ to engineer such catastrophic events in order to create the Modern State of Israel (MSI). What really was the purpose of creating the MSI? Likewise, what is the point of all the manufactured conflict up to this very day? We need to look no further than the Holy Bible to apprehend the true intentions of those behind this multi-century plot. In the Book of Revelation there are many references to such things as Armageddon, the Apocalypse, and the “Seven Angels Blowing of the Seven Trumpets”. Basically this final scripture of the Bible, written by St John the Apostle on the Island of Patmos, represents his understanding of the End Time scenario which humankind would inevitably face. Whether the current rendition is true to St John’s original writings, we will never know. However, what we do know is that there are those who have borrowed from this harrowing narrative to create their own script. And they have seen to it that, come hell or high water, an Armageddon is going to happen … in the Middle East … with Jerusalem providing the location, sets and many actors. Why this all must occur according to a very specific time frame is deeply tied to the Judeo-Christian-Islamic inter-relationship and various shared traditions. You see, there is a very sacred site in Jerusalem known as the Dome of the Rock. It is a very sacred Muslim shrine located on the Temple Mount in the Old City of Jerusalem on the original site of the Second Jewish Temple, which was built on the same site as the First Temple. Did we mention that there’s some very serious history surrounding this location?! Armageddon, the final battle, will come when someone blows up the Dome of the Rock. That magnificent golden-domed mosque built on the site of Solomon’s Temple is somehow preventing the return of the Messiah. Fundamentalist Christians and Radical Jews believe that Jesus Christ will not come back to earth until the Jews rebuild the Temple at the original site of the first two temples where now sits the Dome of the Rock (also known as the Abomination of Desolation to a select few). How’s that for a perfect trigger point for World War III. As if the world doesn’t have enough regional conflict, civil war, revolutions both philosophical and otherwise going on all over the place. The Middle East certainly stands out as a non-stop battleground which continually experiences all the bellicose convulsions and societal paroxysms typical of the 3rd Millennium A.D. Since the founding of the MSI, it has served as a bellwether of major geopolitical shifts and aggressive military actions around the world. What are the commonly held beliefs that have conspired to push the human race in the direction of self-annihilation? What are the cultural phenomena which continue to encourage such self-destructive ‘religious pursuit’? Is there anyone who has not heard of the Rapture? Such a future event serves to galvanize many of the Christian faithful into a state of euphoria, as they consider themselves rising into the sky to meet Jesus as He descends from Heaven. 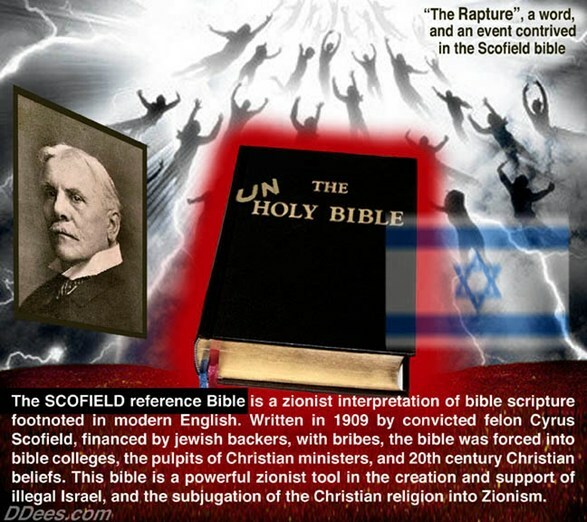 The Bible, and especially the footnotes of the Scofield Bible, have shaped the dispositions and beliefs of most of Christian humanity concerning end-time events and have lulled us into the false notion that Armageddon is God’s plan for Jesus’ return to Earth. A more plausible explanation is that Armageddon, particularly and the conflict in the Middle East, is a meticulous New World Order depopulation plan. End-time fictional thrillers with a Christian message are all the rage these days. Publishers and readers can’t seem to get enough of Tim Lehaye’s “Left Behind” series and Joel C. Rosenberg’s (The Tehran Initiative) political thrillers. Lehaye espouses a form of dispensational theology and would like you to accept Jesus so you can get ‘raptured’ and avoid the Tribulation. Rosenberg wants to educate and mobilize Christians so they can understand the threats facing the Modern State of Israel (MSI). They join the ‘Christian’ Zionists, Evangelicals and Pentecostals who claim to support the MSI because of a concern for the country’s safety. Throughout this evolving apocalypse, no one ever wants to admit the real reason for their support: That their Bible tells them that Jesus will return to a Christian Israel. 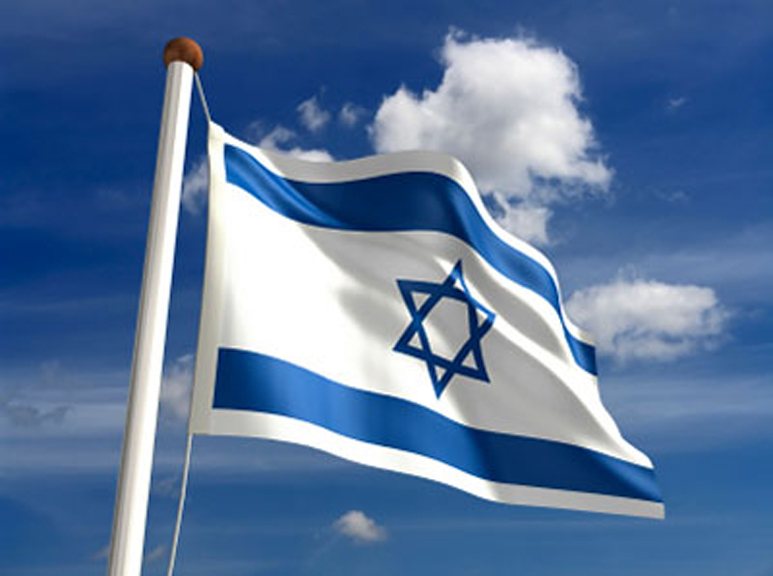 “We love Israel!” is the familiar Evangelical chant. Their peculiar form of ‘Christian’ proselytizing and fervor is to love the Jews to death because, as LeHaye dramatizes in his “Left Behind” best sellers, two-thirds of the Jews in the world (those who don’t accept Jesus) will be killed and eternally damned. Psalm 122: Pray for the peace of Jerusalem. Would Jesus support Israel’s military at the expense of the Palestinians? Unwavering ‘Christian’ support of Israel is guaranteeing there will never be a peaceful resolution to the Middle East crisis because they want to help God make sure there is a Jewish majority in the land. Peace cannot come to the region because it will interfere with Jesus’ return to Earth as well as the Christian trip to heaven. In other words, because of the dispensational footnotes in the Scofield Bible , Christians believe the MSI is the fulfillment of Biblical prophesy and that the Return of Jesus is around the corner; mankind’s destiny has been decided. First of all, the creation of the State of Israel did not fulfill any prophesy in Genesis or Ezekiel. The Bible is clear, the Jews are forbidden from coming back and establishing their own state until He [God] was ready to send a [another] messiah. Another problem with the Bible’s version of what will happen in the end-times before Jesus returns concerns the rebuilding of a Third Temple and an absurd episode revolving around the Antichrist. A superman world dictator, the Antichrist, signs a treaty with Israel and sets up shop in the newly built “Third Temple” in Jerusalem. Then the first phase of the Tribulation: three-and-one-half years of unprecedented chaos and mayhem, during which the Jews will be killed and damned to eternal torment because they never accepted Jesus. The Tribulation goes on for 7 years until the final battle – Armageddon – and then Jesus comes back to Earth. It is not too difficult to understand that when the third most holy place in the Muslim world, the Dome of the Rock, was built right on top of the second temple (Herod’s Temple) as previously explained, there exists an extraordinary vulnerability which can be exploited by those who would make mischief. In fact Architectural Plans already exist for the Third Temple, and it obviously includes the demolition of the Dome of the Rock. Even a child understands that were the Dome of the Rock to be blown up, when the Israelis are blamed for demolishing such a sacred Islamic mosque, it will ignite a worldwide firestorm between Jews and Muslims (aka Armageddon), as described in detail in a now infamous letter written by freemason Albert Pike Letter. If and when the Dome of the Rock is blown up, no one will have to wonder again about the Tribulation or WWIII since Armageddon will begin the very same day. Whenever any group sets themselves as up The Chosen People there will be a much higher standard of conduct by which they will be judged. Measuring up to such a high bar is always quite difficult, fraught with unforeseen challenges and never easy, as we shall see. This story is fundamentally about ‘a chosen people’ and is as instructive about life in the mundane realm as it is didactic within the religious realm. It is, at once, full of biblical intrigue, replete with revised history and extremely tragic for all the key players involved. For every child who was raised in a Christian Church, and who was taught that a particular religious group of people – the Tribe of Israel – is somehow special in the sight of God, the programming was initiated. How that group found favor with God through continual warring and thievery is an enigma which will never be reasonably explained. Nevertheless, The Chosen People remain a select group of people for reasons that are becoming increasingly clear with the passing of each year of this new millennium. I. Who chose the The Chosen People? II. Why did ‘they’ choose The Chosen People? Can anyone answer these questions with any degree of authority? Who were the characters who wrote the books of the Bible which state that the twelve tribes of Israel were ‘the chosen people’. Chosen by who and chosen for what? Conferring such special status has proven to be a tremendous burden which the Jewish race carries right up to the present day. So tremendous is this burden that a plot was hatched under the rubric of Zionism that made sure that European Jewry would be forever remembered as ‘the chosen people’ as fodder for a Holocaust. The very same group of Ashkenazi Jews were then conned into moving to an arid plot of land in the middle of the Middle Eastern desert under the completely false pretense of security and stability. Who could disagree that, since the 1948 establishment of the Modern State of Israel, nothing has been more elusive than security and stability? Were it not for totally blind support from the USA, Israel would have been taken over militarily, economically destroyed by its own mismanagement and financially bankrupted by those who only seek to exploit the many hardworking Jews who live there. This ongoing tragedy must have a rational explanation. And so it does. However, the truth can only be perceived by those who think outside the box of generally accepted mainstream history. Arriving at the historical truths can be accomplished by simply looking at the evidence which the actual events provide so transparently. For instance, we see that WWII set the stage for the Holocaust. And that the many fictitious facts which have come out of the Holocaust were manufactured for very deliberate reasons. Whether we put any stock in any of the parallel and intersecting narratives which constitute the Holocaust we can plainly see that those who tell this story, as well as those who apparently experienced it, believe that it happened exactly as written in Anne Frank’s diary, lamp shades and soap bars and all!? This plot to traumatize a hugely significant demographic segment of the world’s population is at the very center of the storyline. How so? Secondary and Vicarious PTSD (Post-Traumatic Stress Disorder) have played a critical role in traumatizing an entire religious society. Furthermore, how people assign and accept blame is a very significant component of this ongoing conspiracy to keep worldwide Jewry in the perpetual state of PTSD. How People Assign Blame can only be understood in this context by knowing who is really doing the assigning and why they want those ‘chosen’ to do the accepting. Often overlooked is the fact that Post-Traumatic Stress Disorder (PTSD) resulting from the Holocaust wasn’t limited to the Jews who were alive at the end of World War II. Thanks to endless replays of documentaries showing emaciated bodies piled high, and being bulldozed into mass graves, everyone, everywhere, anytime since World War II who considers themselves Jewish now has a terminal case of vicarious or secondary traumatic stress disorder (VTSD, STSD). PTSD is a normal response by normal people to the trauma and persecution suffered by the Jewish people during World War II. The cruel deaths of millions of Jews was so extraordinary and severe that just about everyone can understand why Israel’s foreign policy exhibits the classic symptoms of PTSD: impaired self esteem, hyperactivity, poor reality testing, and aggressive behavior, among many other commonly accepted symptoms. The only way that such a massive and forced migration of the Jewish people, from all over post-WWII Europe, could be accomplished was through this painstaking PTSD psychological conditioning which has continued unabated through 2012 AD. Worked like a charm would be a gross understatement, wouldn’t it? Look at what so many good and innocent people are willing to suffer by living in the MSI. To withstand the emotional and psychological terror of such incessant existential threats can only be further traumatizing. And so it is, just as it was designed to be. (1) The Jews clearly do not belong in the MSI; they have no legal claim nor do they rightfully exist there on any basis. 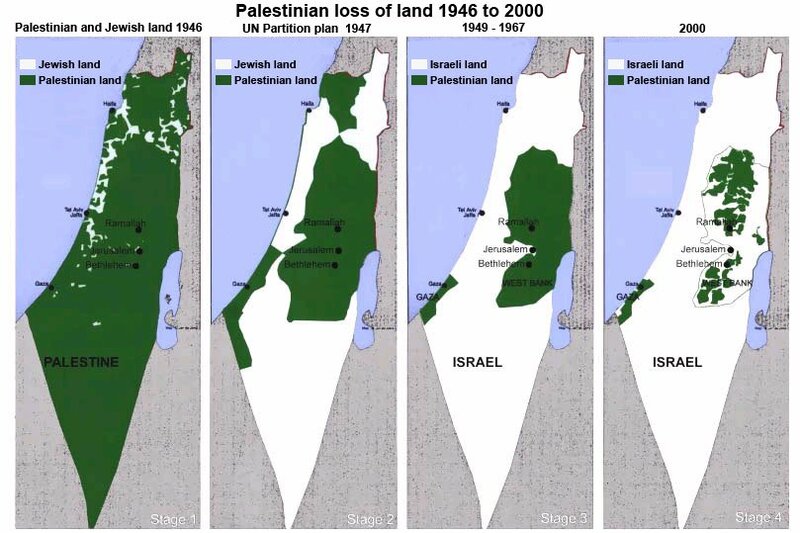 (3) The artificially created conflicts throughout the entire Middle East have proven that they can never be resolved … never, unless the Israelis return all the land which has been stolen from those who owned it. • What’s really going on there that Israel’s destiny determines the outcome of so many geo-political conflicts around the globe? Who’s really pulling the strings there and why are they tugging at them harder than ever since 2012? • What in the world is going on in the minds of so many ‘Christians’ that they openly pine for an Armageddon scenario throughout a region of the planet which has seen so much turmoil and suffering? In other words, “Cui bono?” Who really gains from all this expertly engineered chaos? And, what kind of New World Order do they plan on imposing? 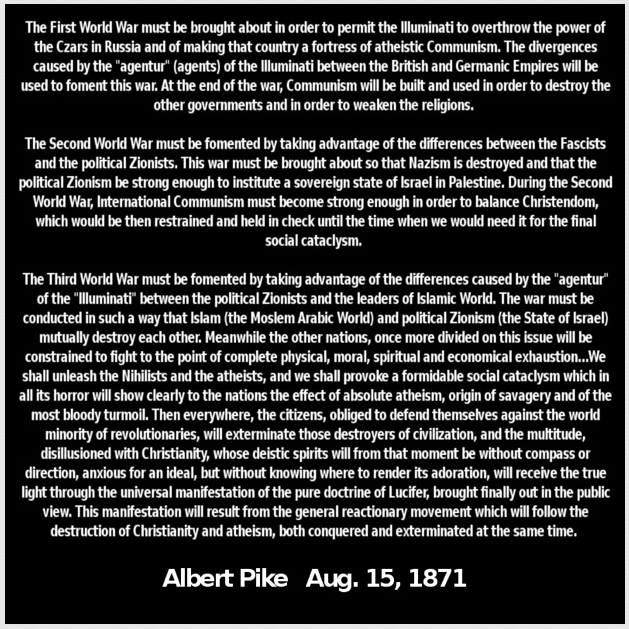 • You have to admit that anyone, who will fastidiously manufacture global events in such a way so as to guarantee that those who constitute an entire religious culture will experience a unique form of PTSD, so that they can be manipulated both individually and collectively for decades, is quite deliberate in carrying out a plan. The Zionist movement, in fact, created the “impossible to solve” conflict in the Middle East. • If such an intense form of PTSD was never concocted, how else could ‘they’ have created the conditions for a reverse diaspora to take place so flawlessly. Even the great Christian nation – the USA – was finessed and flimflammed into the great United Nations debacle of 1947, which essentially blessed the theft of a nation and subjugation of the Palestinian people through the creation of Israel by UN Resolution 181. • Two major streams of pseudo-religious thought and quasi-religious activism were initiated and instigated within the military arm of the New World Order – the USA. Dispensationalism is at the very heart of the first stream and was aggressively promulgated by John Nelson Darby, an Anglo-Irish evangelist, who was also a very influential figure among the original Plymouth Brethren. We wonder who made sure he was on that boat seeking religious ‘freedoms’ in a faraway land?! • The second major stream in the New Jerusalem (aka NYC or Washington DC or any other power center in the United States of America) is the fomentation of Christian Zionism. This more recently formed movement of highly dubious goals and even more questionable methods must be understood if one is to appreciate how an entire civilization was hijacked to further the ends of the Jewish people from all over the world. Yes, we do mean the end of Judaism, because that is what Christian Zionism hopes and plans for. • That the Jewish people don’t belong in the Middle East is self-evident; that they feel so entitled to this little piece of real estate is a little more difficult to understand. Their biblical justification is tenuous at best, but obviously much more calculated and cynical if the ongoing conduct of the current Israeli Government is any indication. Please show us any scriptural verses, promises, diktats, or heavenly commands which demonstrate a valid claim by a group of primarily non-Semitic, converted Jews (circa 740 A.D.) originally from the Khazarian Kingdom* who eventually migrated to Poland (and other Eastern European nations, the cradle of Ashkenazim Jewry. • The history books tell us that the blitzkrieg of Poland* at the very beginning of WWII was the trigger point which irrevocably escalated that global conflict. We also know that the pretext utilized by the Nazi regime was secretly planned and coordinated so that it would serve as an entirely reasonable justification for such a bellicose strike. Only a thorough investigation of the “Free State of Danzig” affair will confer the correct understanding of who actually planned and ‘set up’ this extremely significant event of WWII and highly consequential development of Jewish history. *The psychological effect and strategic purpose of striking at the national mecca (Poland) of the Ashkenazi Jews was the first major assault which prepared the soil for so many future schemes to be executed — Auschwitz being one of them! • Is there any greater way to traumatize an entire group of people than to spread the baseless rumors that their family, friends and other acquaintances have been transformed into soap and lampshades? • Is there any better way to traumatize an entire group of people than to tell them that all their neighbors have been systematically exterminated in gas chambers using Zyklon B, when in fact these were delousing chambers? • Is there any more effective way to traumatize an entire group of people than to disseminate the groundless hearsay that two simple crematoria, which were used to dispose the diseased bodies of those who passed away in the concentration camps from contagious diseases, were a part of a methodical plan to get rid of 1.5 million dead bodies? 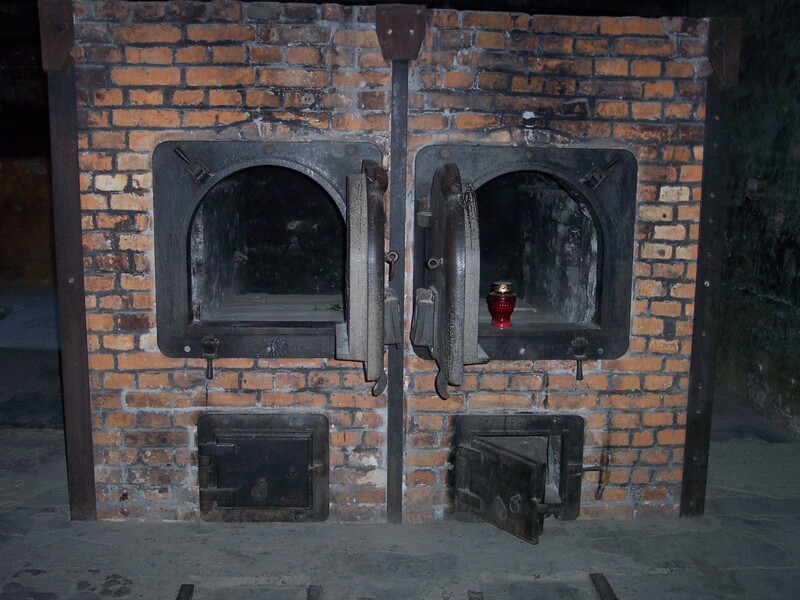 That’s two ovens to dispose of the alleged evidence of 1.5 million bodies! • About The Chosen People, we might ask one more time: Who chose them? When were they chosen? And why were they chosen? More importantly, are The Chosen People of biblical yesteryear the same as The Chosen People of today? If not, how has one integral story called the Holy Bible gotten so horribly mixed up with a modern version of Apocalypse Now? This list of statements and questions could goes on and on and on … so long and complicated and convoluted is this saga. In order to ferret out the truth, one must consider the much more factual revised history, which has leaked out via the internet over the past many years. Only by considering the volumes of eyewitness reports and expert testimony, much of it rendered by objective US military personnel and other authorities who were on site throughout war-torn Europe after the surrender of Germany, can anyone begin to understand what really happened. That such a premeditated and purposeful plan to defraud, hold captive and then hold hostage an entire religious race is as inconceivable as it is formidable to successfully pull off. That it began with the holiest book in Christendom – the Holy Bible – makes this story even more unbelievable. When The Chosen People were chosen, little did they know what they were really being chosen for. Such a carefully calculated and perfectly executed multi-millennial project must have its roots in some very deep muck and mire. The continuing saga throughout the Middle East has emerged out of purposefully created conflicts which can never be resolved. They are manufactured to last for as long as possible. Since both sides of this conflict are controlled by the very same controlling influences and parties, how could it ever be resolved except by those who have created it? The Jews do not belong on land that has been systematically stolen from the Palestinian people. Nor do they have any legal, moral, or scriptural right to a nation called Israel in the Middle East. The Israelis have taken each piece of property by force, theft, coercion, extortion, blackmail and murder. However, their collective PTSD allows them to justify this multi-decade crime spree right up to the very last misappropriated parcel of land. 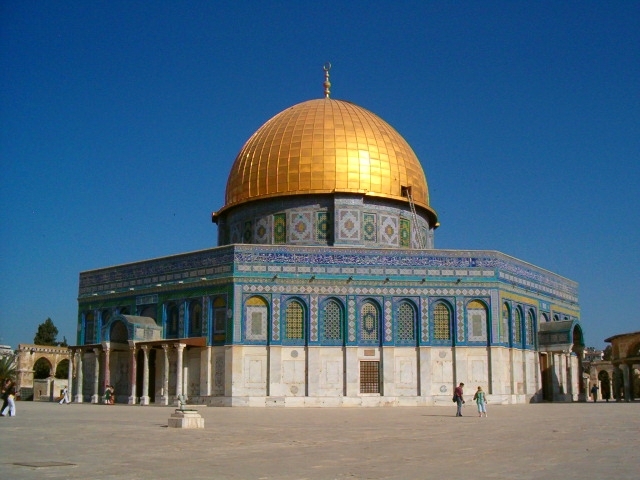 The Dome of the Rock (aka as the Desolation of Abomination to some) may very well serve as the flashpoint for Armageddon, WWIII and the Apocalyptic end of the world as we know it. This scenario possesses all the ingredients for a planetary Perfect Storm. If such a False Flag operation is executed on this very volatile piece of real estate, no one can predict what will ensue. That is the real concern among those of us who wish to disseminate what remains in the realm of possibility. On the other hand, having foreknowledge of such a scheme can also serve to defuse the whole conflagration. Because of people like you who are reading this piece are now much more aware of the REAL revised history. Shedding the light of awareness on the zionist state of Israel, its history and all of the machinations currently being perpetrated in the interest of its self-aggrandizement is a very powerful tool. As more and more are being initiated into the burgeoning arena of accurately revised history, a shift in consciousness is taking place. Truly, what the world needs more than ever is a global rallying point to put an end to the madness and the beginning of a new era of peace. The Scofield footnote 8:37 limits God’s promise to Abraham’s son Isaac and not Ishmael, thereby pitting Abraham’s sons against each other in the Middle East conflict, that if not stopped will end in World War III, Armageddon, and certain death for millions. It should also be noted that Scofield/Dispensational theology dominates virtually every conservative Bible college and seminary in the USA, as well as Christian TV evangelism worldwide.